It’s a sign! Full-time science teacher side hustles to build her very own Etsy store. Brittany Long is a hard-working, sixth-grade science teacher. In addition, she has managed to make a good income on the side creating homemade decorative signs that she sells on her Etsy shop. After a devastating cancer diagnosis, Brittany realized that her main focus needed to be on her family, and today she spends her time after school making signs with her husband with the goal of replacing her teaching income some day. Brittany offers some advice and encouragement, including several of her past attempts and failures and also some advice for those who are just starting out. 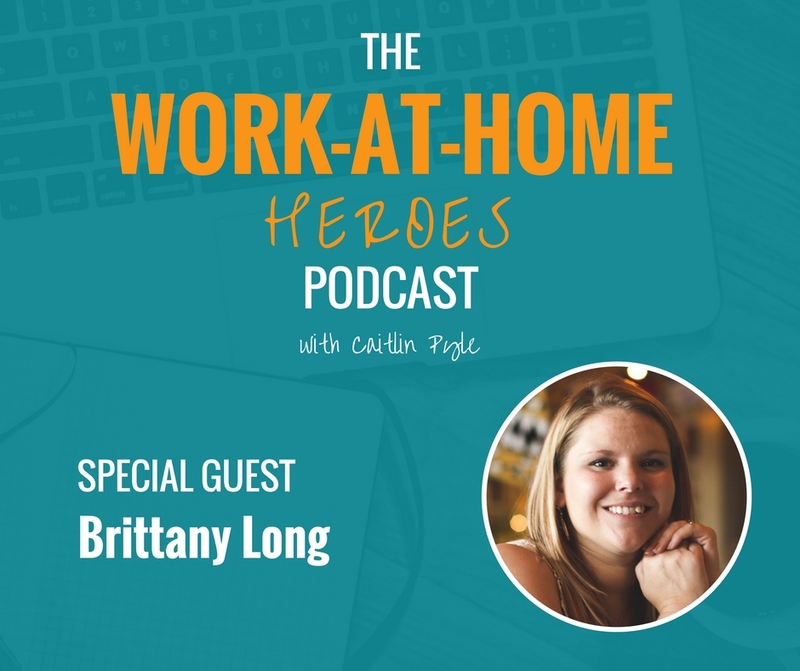 Read the transcript of The Work-at-Home Heroes podcast Episode 9 here. Check out Brittany’s website and Etsy shop to see her amazing work! Interested in a possible career in proofreading? Visit Proofread Anywhere for more information. Head over to the Work-At-Home School to see about the next enrollment! Would you like to contact Brittany? She would love to hear from you! Contact her here! Got a question for Brittany about this episode? Head over to the Work-At-Home Heroes Facebook page and ask on this dedicated thread! Previous Leveraging employee door-to-door sales skills to build an online business of your own! Hey Caitlin I really enjoyed this podcast and all the others that I have listened to. I thank you for giving back and helping others get out of the rat race( I'm a work in progress), find their place and pursue their God-given purpose. Hi Caitlin, Thanks for sharing your podcasts, always great to hear of success stories that can inspire. Wayne. Hi Caitlin Ursula's comments sums it up nicely; it is what I also want to say. Continued success to Brittany!